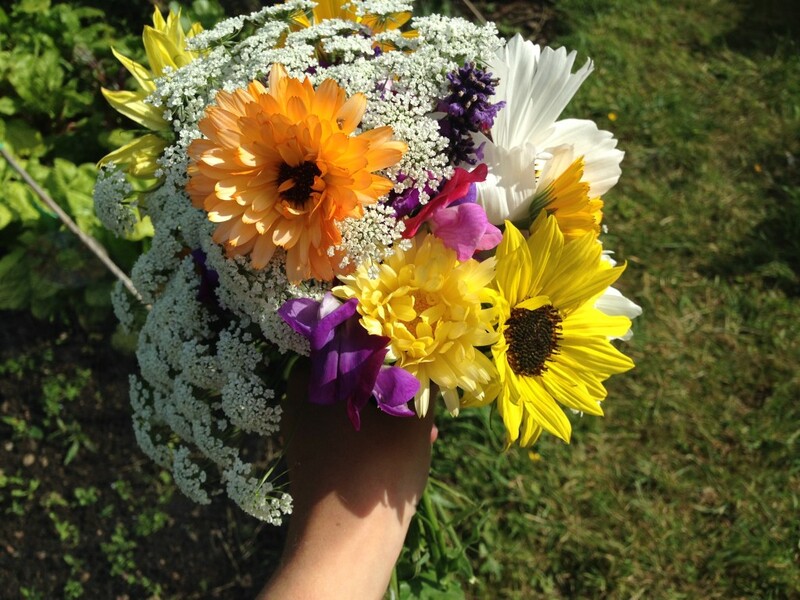 Despite the past week of rain and cloud, the allotment flowers are perky and sunshiny. I don’t even particularly like marigolds, but these ones look great in an impromptu arrangement with sunflowers and bishop’s flower (that’s the white frothy stuff). But there are early signs of autumn. 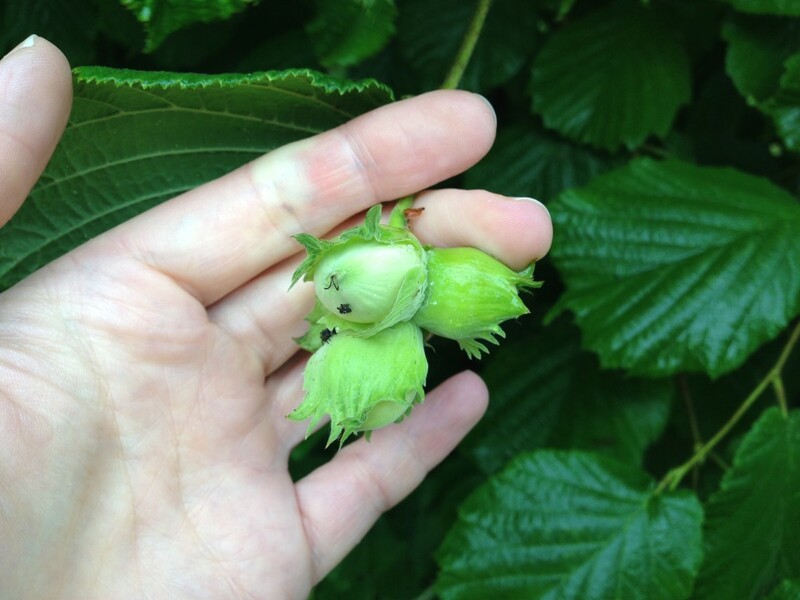 Apples are swelling on the boughs and on Friday I spied cobnuts ripening in the grounds of Compton Verney, the art gallery in Warwickshire. 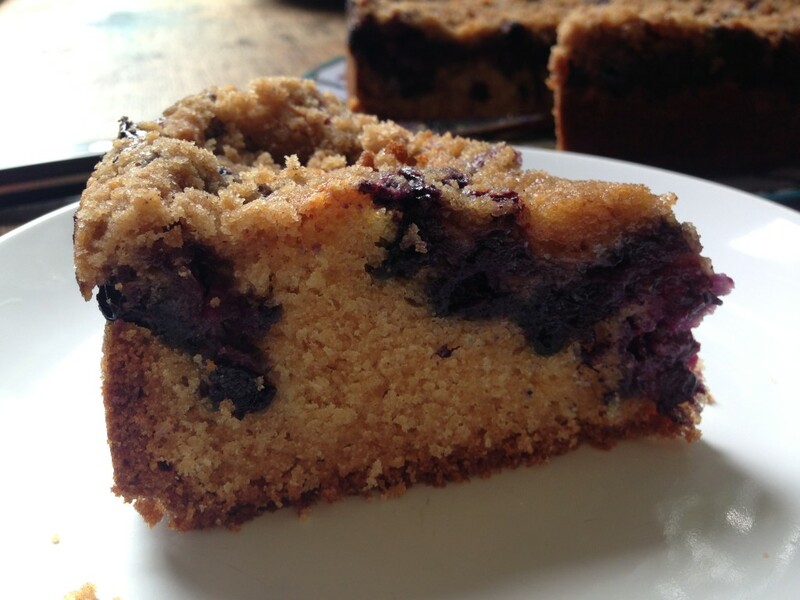 So on a rainy Monday morning I whipped up a blueberry crumble cake, good for late breakfasts, lunch, afternoon tea and pudding. First you make up a really stiff batter. 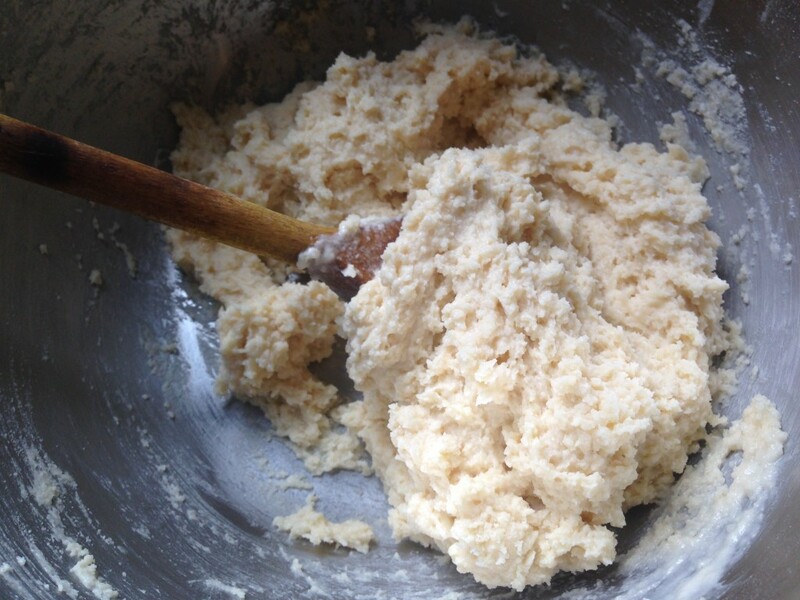 Take flour, bicarbonate of soda, baking powder and sugar, then rub in butter until finely mixed. I use my hands but you could use a food processor if you’re that way inclined. 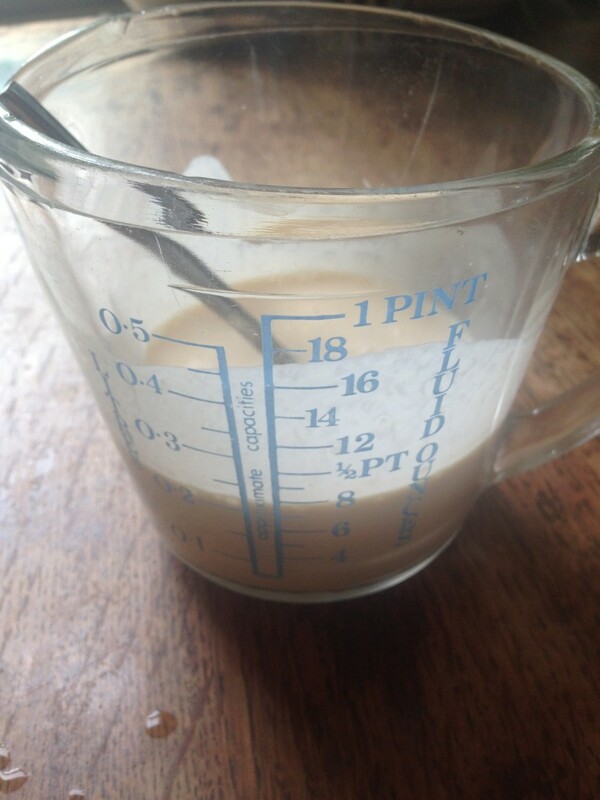 Next the wet ingredients: simply whisk a large egg with buttermilk and vanilla extract. If there’s no buttermilk to hand, use yoghurt or even cream, loosened with a splash of milk. 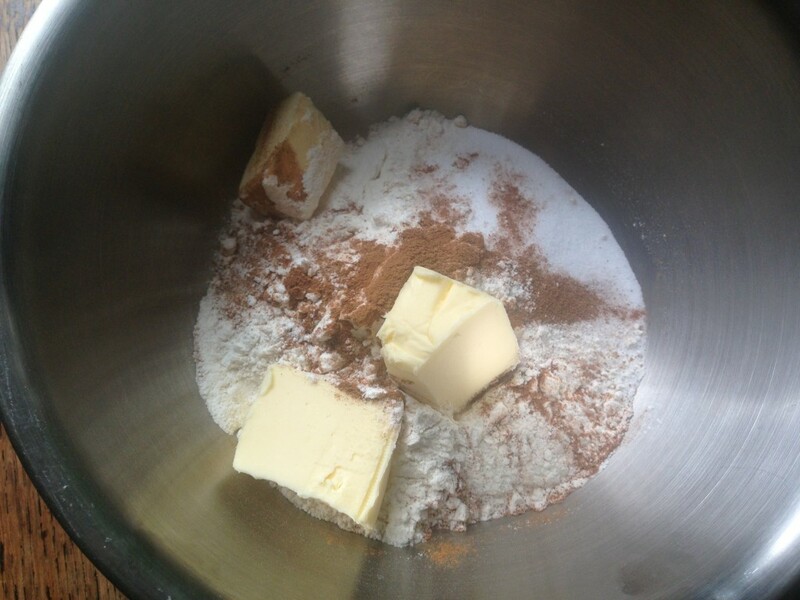 Then mix the two together to make a really stiff batter. 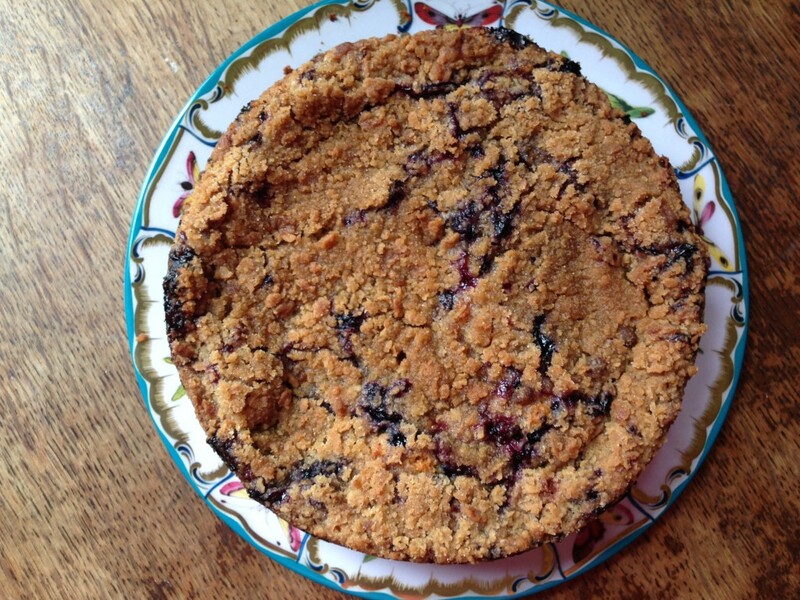 It needs to be stiff in order to take the weight (and juice) of the fruit and crumble. 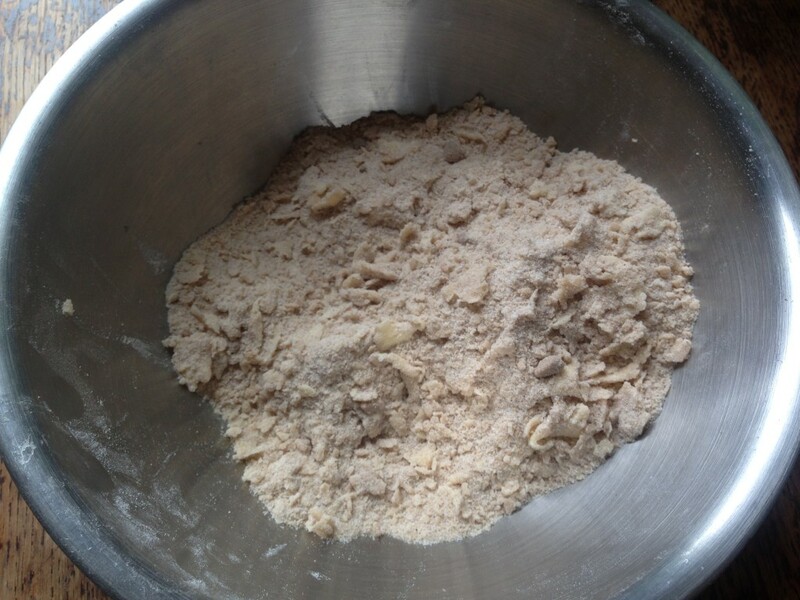 For the crumble, simply take flour, caster sugar, muscavado sugar, butter and cinnamon and rub it all together. Then it’s time to bake! Spread the batter into the base of a spring-form tin, pile the fruit on top, then sprinkle the crumble on top of the fruit. I’ve used a bowl of blueberries plus a few alpine strawberries but I think most summer fruits would work well here: raspberries, sliced strawberries, peaches, apricots, plums. Bake for about an hour, until a skewer comes out clean. Leave to cool for at least an hour before removing from the tin (else it’ll likely fall apart). Serve it up warm or cold, perhaps with a dollop of cream on the side. Yum! Incidentally, this is not a cake that keeps well, so eat it up within a day or two. Preheat oven to 180c and grease and line a 22cm springform tin. 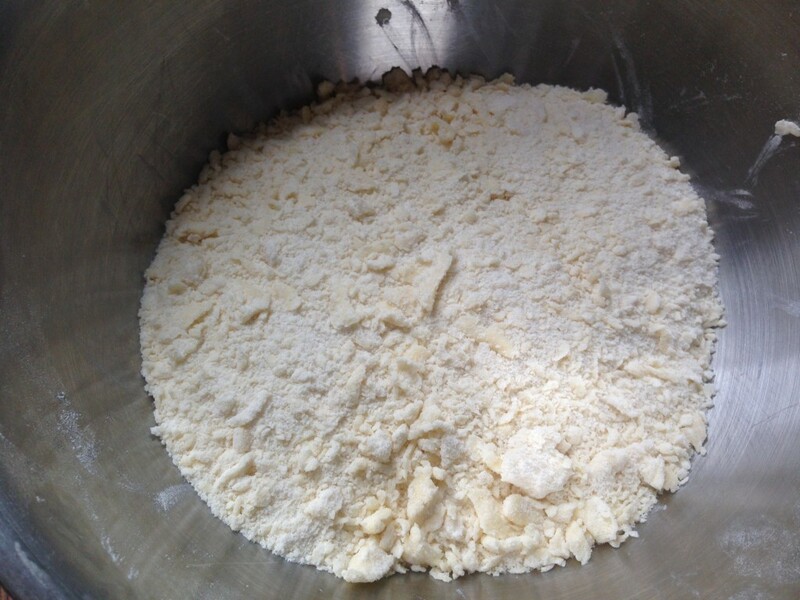 Combine flour, baking powder and bicarb in a bowl then rub in the butter until the mixture is fine, with no lumps. Beat the egg with the buttermilk and vanilla, then mix it all together to a stiff batter. 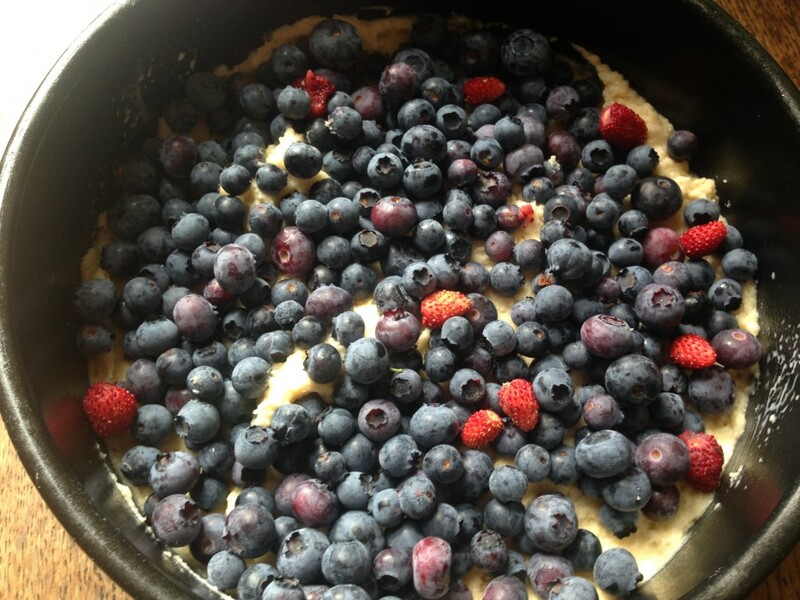 Spread in the base of your tin then pile the fruit on top. For the crumble topping, rub the butter into the flour, sugar and cinnamon until well distributed, though a few lumps are OK. Pile on top of the fruit. Bake for 50 minutes to 1 hour, until a skewer inserted into the centre of the cake comes out clean. Cool in the tin for an hour or so before serving. 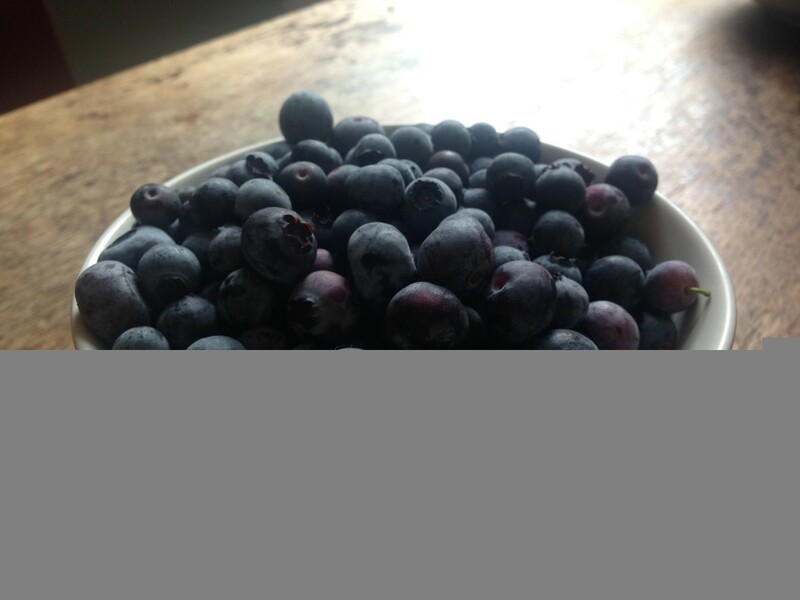 This entry was posted in Recipes, Sweet and tagged baking, blueberry, cake, crumble. Bookmark the permalink.